An AlphaMetic is a math problem of words, not to be confused with a word problem, so it is a math game consisting of an equation whose digits are represented by letters. The goal is to identify the numeric value of each letter. Every day @AlphameticApp posts a math and/or science joke to Twitter, Facebook, and G+. The Android application started as a personal project to replace a Franklin electronic dictionary. Employing Android's voice recognition and Text-to-Speech playback capabilities made it more fun to use. Every day a definition is posted to Twitter, Facebook, G+, and Pinterest. vd.letsgetwordy.com is a BlogSpot blog serving as a Daily Definition repository for twitter posts from @VoiceDictionary. 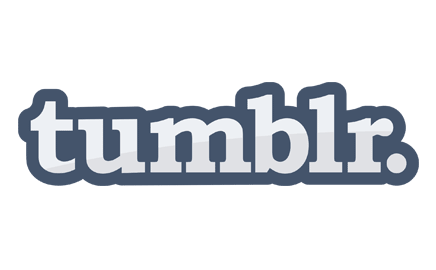 tumblr.letsgetwordy.com is a Tumblr blog serving as a Daily Definition repository for twitter posts from @VoiceDictionary. Comparison between two communities, one where electric technology is the forefront of everyday life and one where electric technology is non-existent. The results highlight the impact technology has had on the literacy of personal and societal well-being. 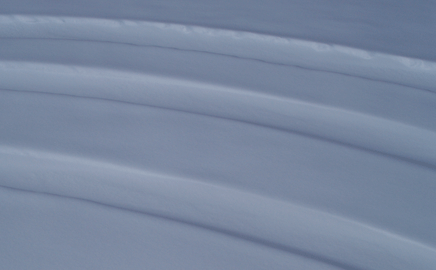 Several years after I had shoveled enough driveways for money to purchase a motorcycle, I noticed many parallells to the task of removing snow from a driveway, and virtually any project. The short story, sums up the experience. 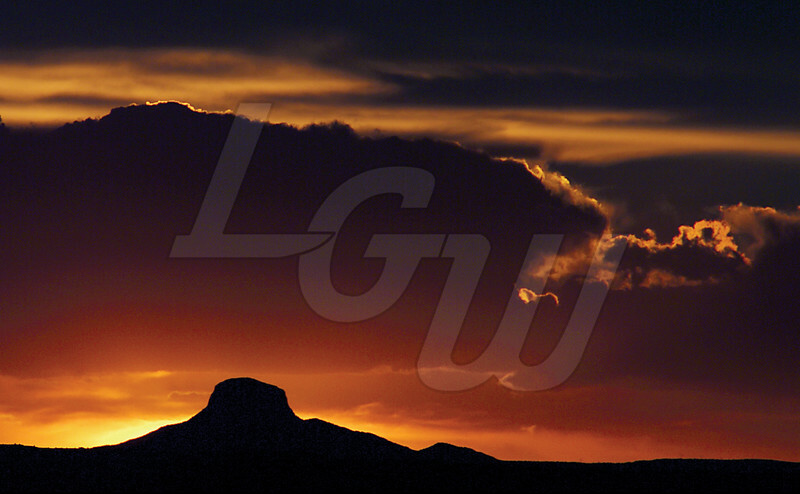 Details: Photo of Cabezon peak taken during the summer soltice of 2016 at sunset from approximately 41 miles away. 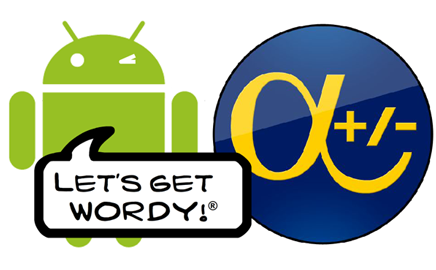 Let's get wordy!® is the purveyor of word related Android applications from (pronounced, ek see me a tat) and other postings pertaining to language, math, photography, and musings. 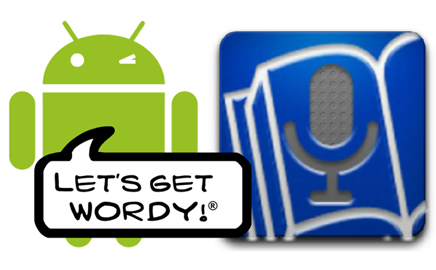 eximietate, inc. developed the phone / tablet compatible Android applications Voice Dictionary (Lite), Voice Dictionary to replace a Franklin electronic dictionary. Employing the native Android voice recognition and Text-to-Speech (TTS) playback capabilities made it more fun to use. 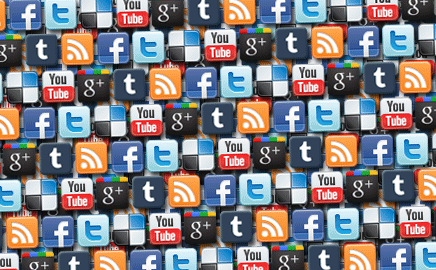 Definitions can be shared via Facebook and Twitter social media platforms from the Android application. Inspired by a college math class project, an AlphaMetic is a math problem of words, not to be confused with a word problem, so it is a math game consisting of an equation whose digits are represented by letters. The goal is to identify the numeric value of each letter. The Social Stream page is a real-time feed from the @VoiceDictionary, @LetsGetWordy and @EarningAMotorcy Twitter, Google G+, Pinterest, Instagram and YouTube social media accounts. Each day a word of the day i.e. daily defintion is published to Blogspot and Tumblr with the hashtags #dailyDef (text-only minimal) and #dailyGFXdef (graphic image with pronunciation). 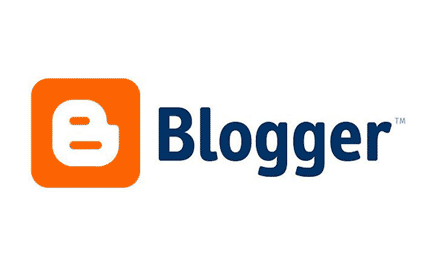 Links to the blog posts are also posted to Twitter from the @VoiceDictionary social media account. Several years after I had shoveled enough driveways for money to purchase a motorcycle, I noticed many parallells to the task of removing snow from a driveway, and virtually any project. The short story, All I needed to know about projects I learned as a kid shoveling snow: Earning a Motorcycle, sums up the experience. 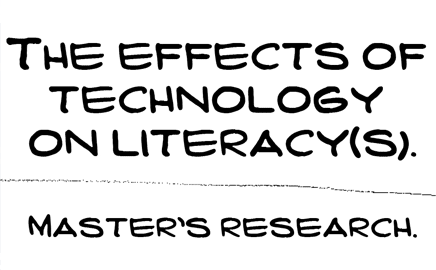 The Effects of Technology on Literacy(s) is Master's level reseach comparing two communities, one where electric technology is the forefront of everyday life and one where electric technology is non-existent. The results highlight the impact technology has had on the literacy of personal and societal well-being. Copyright © 2015 eximietate, inc. All rights reserved.